An insightful conversation with Mada and Rev. Paul John Roach on World Spirituality Radio. 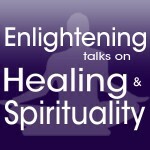 They discuss healing the wounded ego, how to find inner peace and silence, the 3 veils of illusion, healing with the Dalian Method, and practical advice to put into motion today.